The famously meaty, firm texture of monkfish is perfectly suited to being cooked on a barbecue, being able to withstand the intense heat without falling apart. 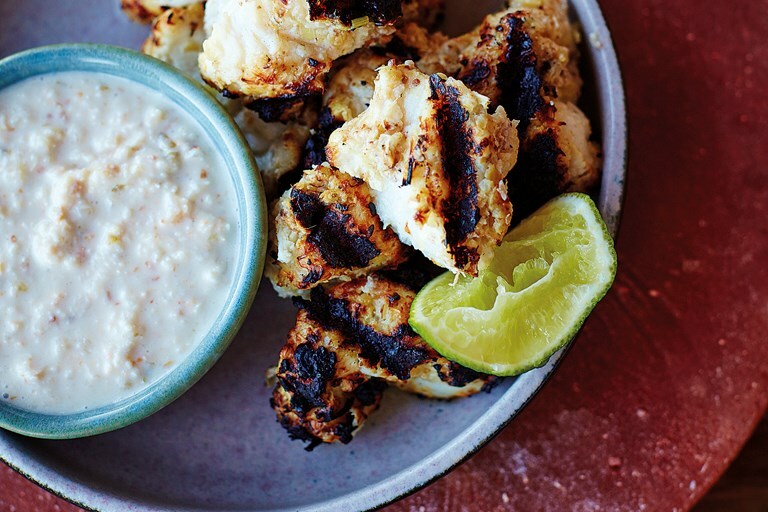 In this fantastic monkfish recipe Nathan Outlaw marinates chunks of the fish in a zesty marinade before grilling them until lightly charred and serving the skewers with a creamy peanut satay sauce – the perfect adaptation of a Thai classic for pescetarians to enjoy. To make this fish starter a main course, scale up the recipe and serve with plain rice and a leafy salad.